DENVER (August 11, 2016) – World Fishing Network is revealing tips and secrets from professional anglers on Wednesday, August 17 from 8 p.m. ET to 10:30 p.m. ET. Wednesdays on the network, Secrets of the Pros airs five fresh and thrilling fishing programs. First up, Lake Commandos highlight renowned bass fishing-pro, Stetson Blaylock going head-to-head against Steve Pennaz to try and catch the most smallmouth bass. Then, James Lindner and Jeremy Smith - on Lindner’s Fishing Edge - fish the outer edges of shallow humps with lightweight jigheads tipped with paddletails for pre-spawn smallmouth bass. Next, FlatsClass heads to Crystal River, Florida with pros Dan Benson and Captain C.A. Richardson for mixed bag action in the craggy oyster creeks. Then, Fishing University travels to Alpena, Michigan to reel in some big ones on Grand Lake with Strike King lures. 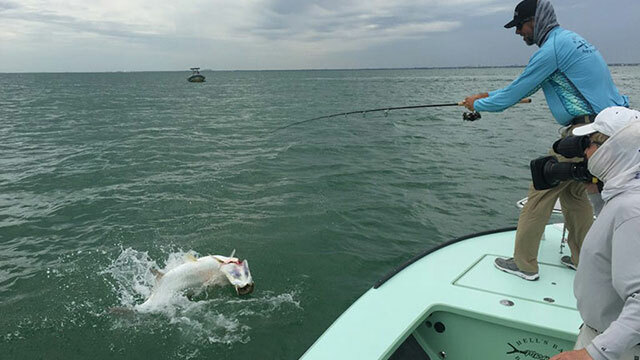 Coming in last but certainly not least, The Hunt for Big Fish Classics features Larry and his friends chasing giant tarpon in Trinidad, an island off the coast of Venezuela.